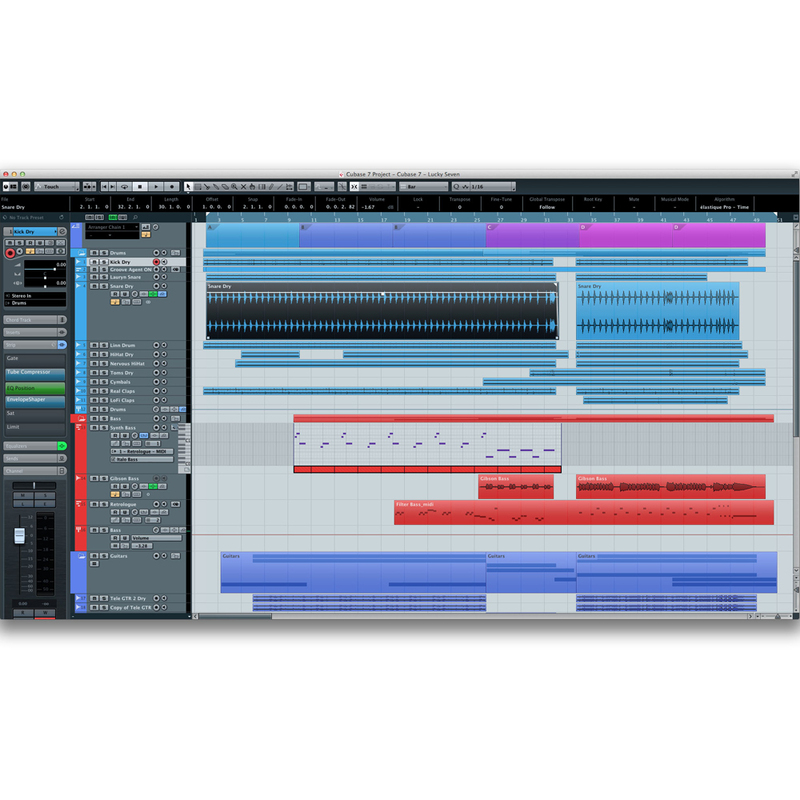 Complete recording studio package in a box - includes £500 of free software. 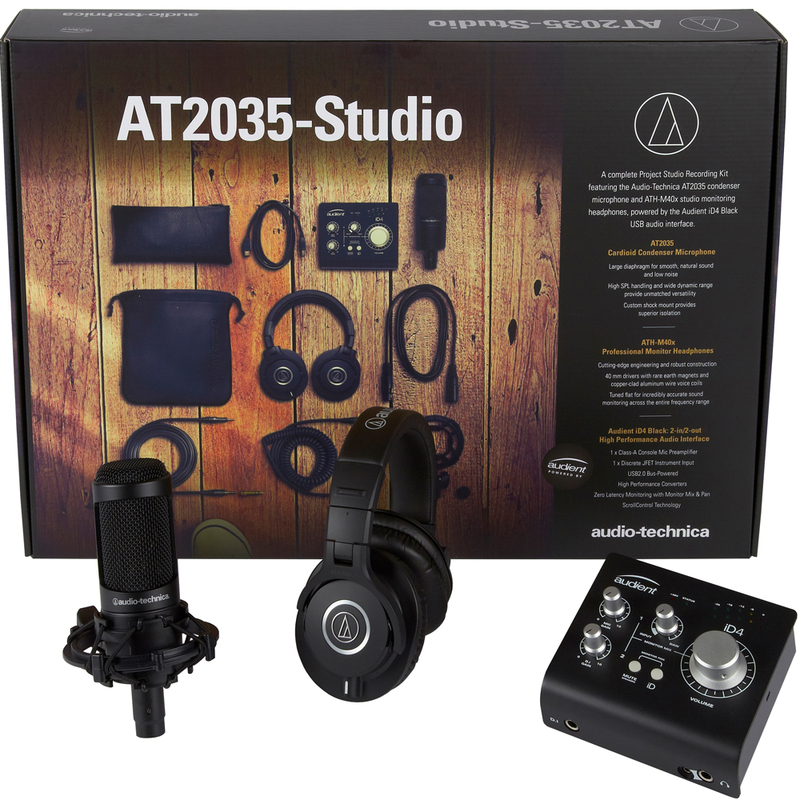 Designed for critical home/project/professional studio applications and live performance, the AT2035 delivers exceptional detail and low noise. 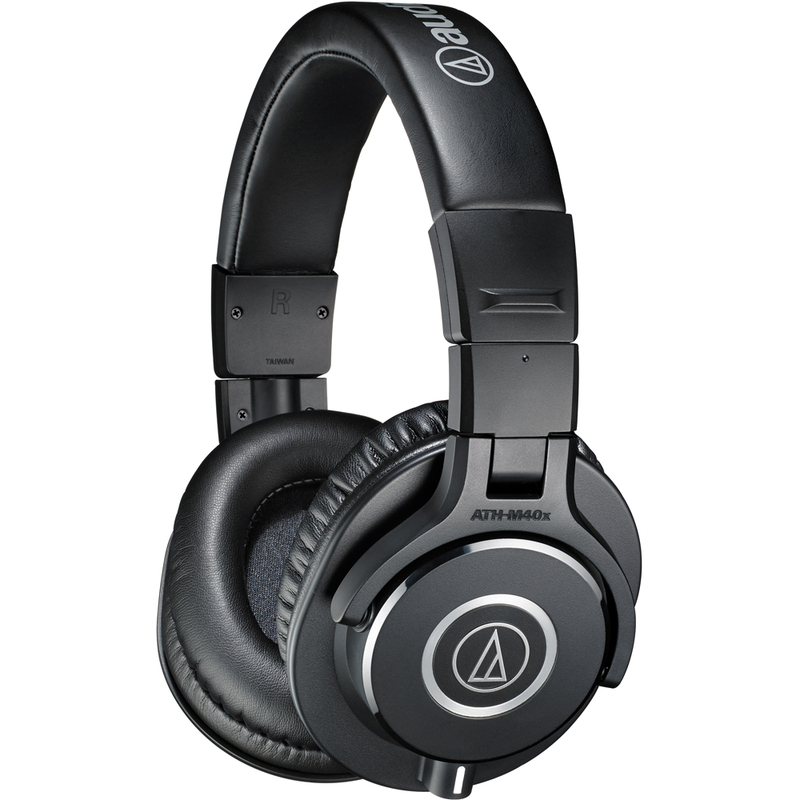 With its extended low-frequency response, the AT2035 provides rich, full sound reproduction and handles extremely high sound pressure levels with ease. 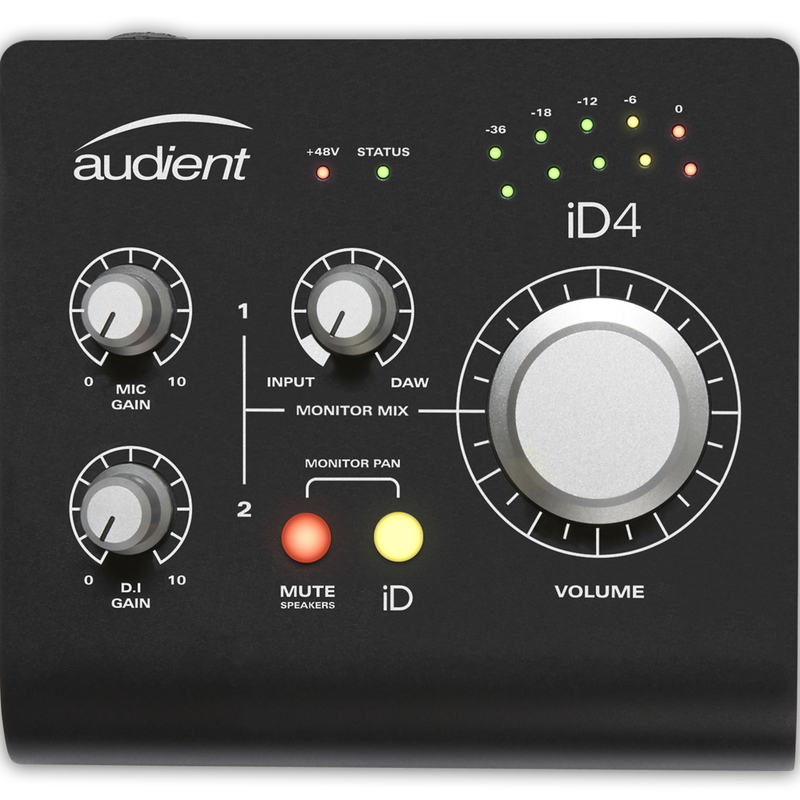 iD4 Black delivers the audio performance of a large format console in a portable desktop package enabling you to record your vocals and guitar simultaneously. 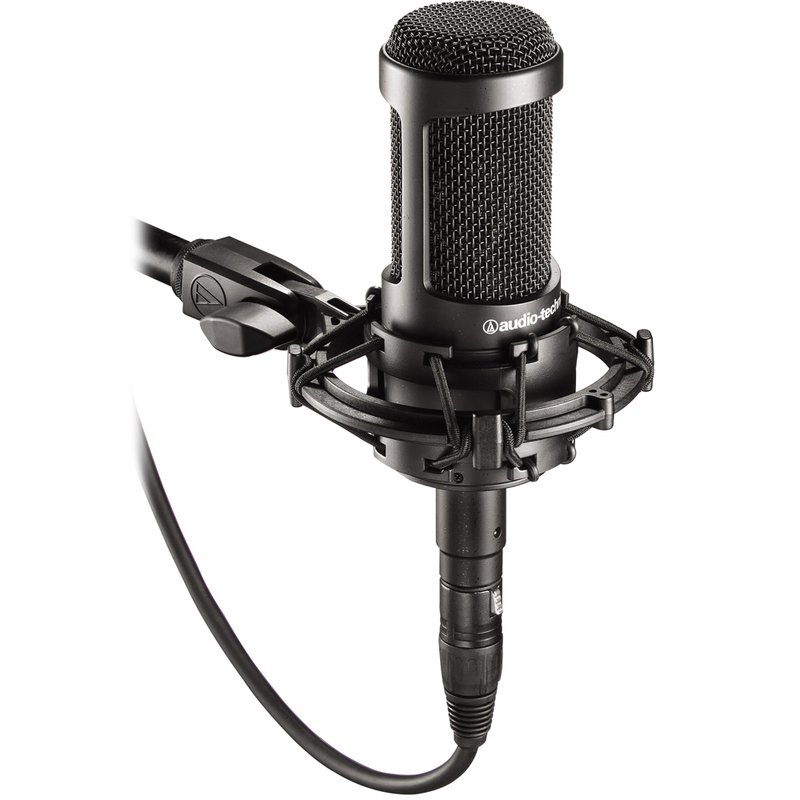 Providing one renowned Audient console mic pre, class-leading converter technology, dual headphone outputs, console style monitor control, JFET D.I and the virtual scroll wheel technology 'ScrollControl', iD4 Black is a professional but affordable solution for your home studio or for when you’re on the road. 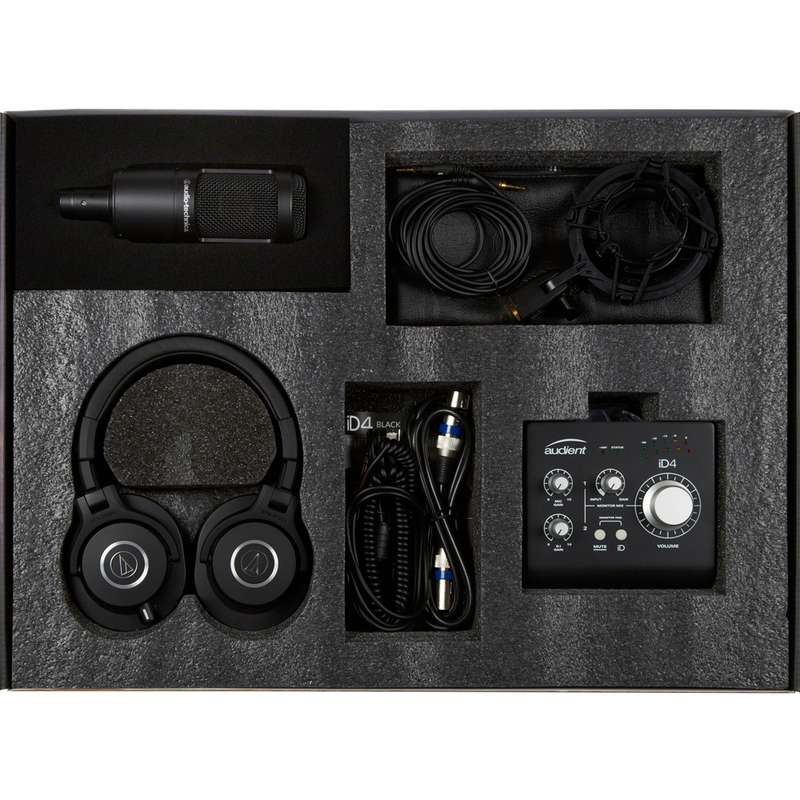 The bundle includes a range of cables, microphone mount and handy carry cases.